The Cornell Berry Program’s online nursery guide for berries and small fruit has been updated for 2010. The guide lists more than 400 cultivars and provides contact information U.S. and Canadian commercial nurseries that sell each one. 115 strawberries (including June-bearing, day neutral and alpine). 100 vacciniums (including blueberries, cranberries, lingonberries, huckleberries, and bearberries). 112 brambles (including raspberries, blackberries, tayberries, loganberries and dewberries). 43 ribe (including currants, gooseberries and Jostaberries). 17 elderberries (American and European). The videos are also available on DVD. Other online resources from the Institute include the Woody Plant Database and a wide variety of publications. See the Institute’s Outreach page for more information. Tough Trees for Tough Sites from Cornell Horticulture on Vimeo. Geneva, NY. The NYS Integrated Pest Management program — which represents a massive return on investment for the state — has been zero-funded in the proposed New York budget. The IPM program saves millions of dollars for farmers and consumers while keeping thousands of tons of pesticide out of New Yorkers’ water and soil. Meanwhile, emerging pests like bed bugs and Swede midge are poised to take off and take over. Our own Susheng Gan will deliver Fridays’s Plant Biology Seminar at 11:15a.m. in 404 Plant Science. Towards molecular understanding and genetic manipulation of plant senescence for enhancing crop yield and bioenergy production. My research has been directed to decipher the molecular regulatory mechanisms underlying plant senescence (leaf senescence in particular) and, based on our molecular findings, to devise means to manipulate the senescence processes for agricultural improvement. We have made significant progresses in this regard. This seminar will first highlight our research activities and achievements, and then will present our recent unpublished results involving a leaf senescence-specific transcription factor network in Arabidopsis. The seminar will also demonstrate how we successfully translate the basic findings into enhancement of crop yield and bioenergy production. Greenhouse grower Jenny Rothenberg and flower bulbs at Kenneth Post Lab Greenhouses grace the ‘cover’ of the February 2010 eCALSconnect newsletter. Horticulturist and best-selling author Anna Pavord will speak on “A Luxuriance of Bulbs” at 11 a.m., Saturday March 20 at the Statler Hall Auditorium on the Cornell University campus. The talk is free and open to the public. 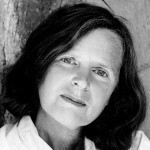 Pavord has been the gardening correspondent for The Independent (UK) since 1986 and has written eight books, including the international bestseller The Tulip and 2009’s Bulb. Pavord is also the author of New Kitchen Garden, Border Book, and Plant Partners. She was one of the founding editors of Gardens Illustrated and wrote and presented Flowering Passions for BBC Channel 4 television. She has lived in Dorset for almost forty years. After restoring the garden of an old rectory, she recently moved to a new garden, which she is filling with bulbs. After the talk, Pavord will sign copies of her new book, Bulb, which will be available for sale. Floriculture’s Environmental Footprint: An Inconvenient Truth or Consumer Opportunity? 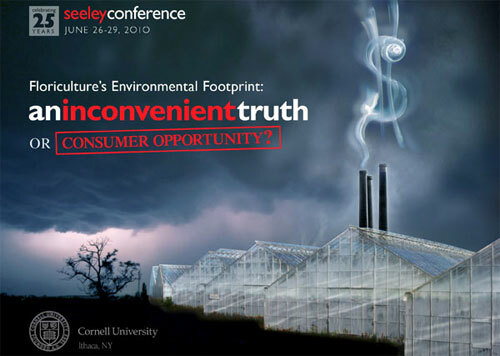 is the theme for the 25th annual Seeley Conference, to be held June 26-29, 2010 in Ithaca, NY. The annual Seeley Conference at Cornell University started in 1986 in honor of Dr. John G. Seeley after his retirement from Cornell University. Each year, the conference board of directors chooses a conference topic important to the future of floriculture. For more information, visit the Seeley Conference website or contact Dr. Bill Miller or Dr. Neil Mattson, the Conference’s organizers in the Department of Horticulture. The Cornell Small Farms Program invites you to join us for the 3rd NYS Small Farms Summit on Thursday, March 4th, from 9:30am – 3pm. The Summit is an interactive meeting with an opportunity for all participants to take part in lively discussion and provide important feedback, both locally, and across the state. We will be gathering in Ithaca, N.Y. and at 3 other locations around NYS: Voorheesville (Albany County), Canton (St. Lawrence County) and East Aurora (Erie County). A video connection will allow us to communicate across sites. Previous Small Farm Summits in 2006 and 2007 generated valuable feedback regarding opportunities and barriers affecting the success of small farms in NY. In response, the Cornell Small Farms Program launched 4 Statewide Workteams in the areas of: Local market access; Livestock processing issues; Expanded use of grasslands; and Farm energy issues. Join us to learn about direct outcomes from these Statewide Workteam efforts. Then, it will be your turn to voice your observations “from the field”. Together we will focus in on the specific opportunities that might warrant increased attention from those of us in research, education and other farm services. The Summit is free to attend and lunch will be provided. Farmer participation is especially welcome. Register early, as space is limited. For more information or to register, contact your regional host site. Appellation Cornell debuts – Quarterly enewsletter features news from Cornell’s Viticulture and Enology Program. Cornell’s Enology School Takes Shape – Wine Spectator extols the virtues of Cornell’s cold-climate viticulture and enology program.